Welcome to 1st Choice Carpet and Upholstery Cleaning. 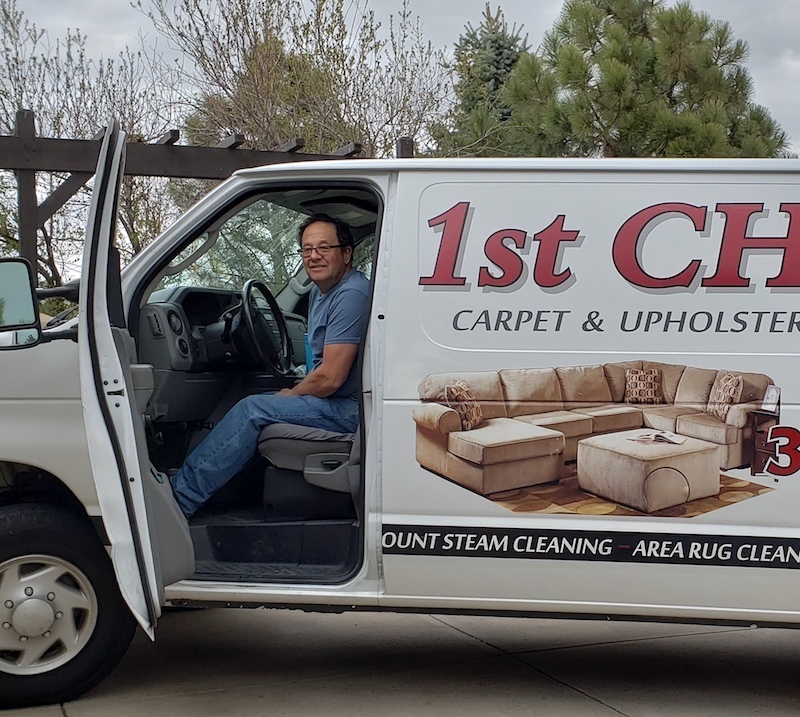 We are a family-owned and -operated carpet and upholstery cleaning business run by a 4th generation Colorado native. Servicing the Denver metro area since 2003, we’ve been privileged to clean thousands of our friends’ and neighbors’ homes and businesses. We offer personalized service from start to finish. 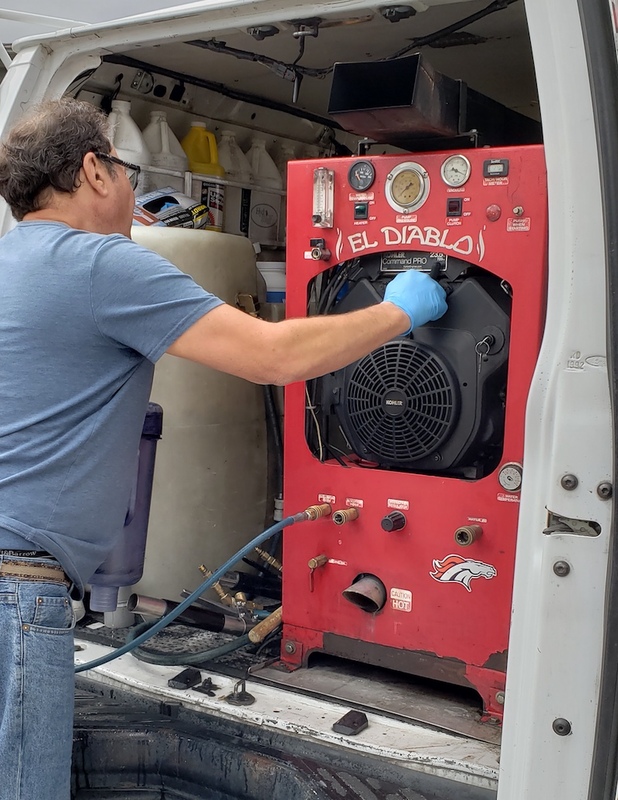 1st Choice Carpet Cleaning uses the powerful “El Diablo” truck-mounted, hot water extraction cleaning system for all carpet cleaning jobs. 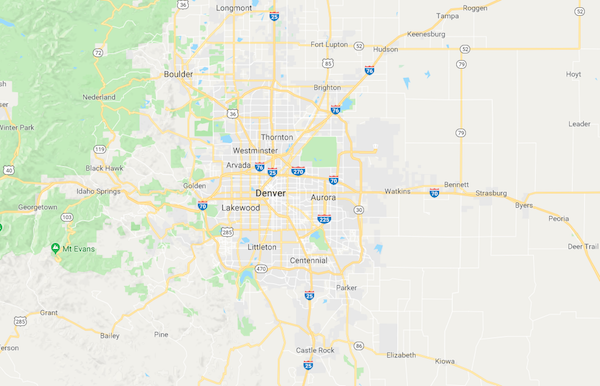 Manufactured and serviced by Master Blend, a Denver-based company, the “El Diablo” is considered to be the best carpet cleaning machine in the business. Hot water extraction—also called steam cleaning—is recommended by carpet manufacturers to meet their warranty requirements. Steam cleaning penetrates deep into carpets, rugs and other fabric fibers to give your floors and upholstery the ultimate clean look and feel. In addition to our truck-mounted system, 1st Choice can deploy portable cleaning machines, enabling us to effectively clean carpets on any floor of a home or building. We use green cleaning materials and the highest quality, eco-friendly cleaners and spotters. And we carry our own fresh water supply, so soils and dirt are recovered back to the vehicle and taken with us upon completion of all services—your home or office stays clean and neat. Helping you maintain a cleaner, healthier environment in which to live and work, we use only quality products, and our personalized, professional services are environmentally safe and eco-friendly. Every job is backed with a 100% quality satisfaction guarantee. 1st Choice Carpet Cleaning aims to earn your business for life.